The foundation of the BCD sports program is the belief that every student should have an opportunity to participate in organized team sports at BCD. At a small school, there are many things that can be learned from team sports, including physical conditioning, sportsmanship, cooperation, social interaction, dependence on others, and a shared experience. Perhaps the most compelling reason for student participation in school sports is that this is the peak time for the development of their physical skill and coordination. Being on a team provides a means for this development through the skill and time requirements. 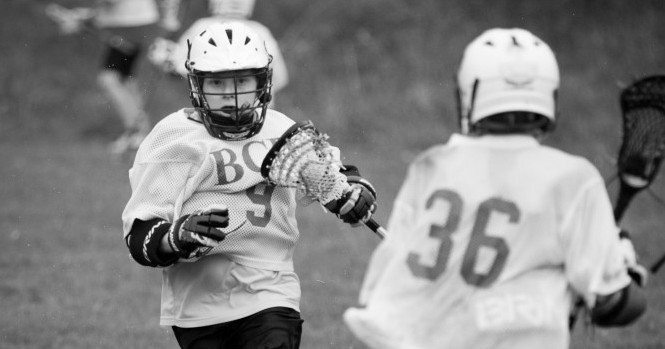 BCD’s sports teams belong to an interscholastic league with other local area public and independent schools. Sports Students in grade 3 are invited to participate in BCD’s farm teams for soccer in the fall and lacrosse in the spring. Sports practices are held from 3:10-4:30 on Mondays, Tuesdays, and Thursdays, Students in grade 3 must participate in a minimum of two out of the three practices per week. BCD sports are required for all students in Grades 4 through 9. Middle School students are required to participate in fall and spring sports, but it is equally important for students in Grades 7 through 9 to be involved in the sports program, because no physical education classes are required/ scheduled within the school day for these grades. Please contact the Athletic Director for more details. Upper-School PE/ Sports Requirement: Upper-School PE requirements vary depending on the grade of the student. Students in grade 7 may do three, but must complete a minimum of two seasons of sports, one of them on campus. Students in grade 8 must complete a minimum of one season of sports, one of them on campus. Students in grade 9 are strongly encouraged to participate in at least one season of sports, but, as a senior privilege, may choose to participate in up to three seasons of theater, instead. All ninth-grade students must participate in at least one co-curricular activity on campus during the academic year. The following seasonal sports are offered. In the Middle School (grades 4-6), a physical education program is offered during the school day. This program provides each child with a fitness program along with an introduction to a wide variety of game and sport activities. Participation on Varsity teams is voluntary and students must be in the seventh, eighth, or ninth grade.